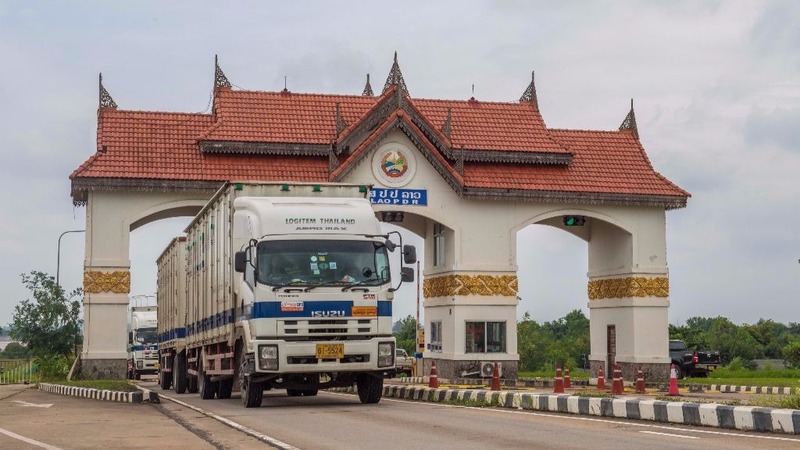 Cargo and passenger vehicles cross the border on the Lao side of the Mekong River through the Second Thai–Lao Friendship Bridge, which connects Mukdahan Province in Thailand with Savannakhet in the Lao PDR. Photo: ADB. The Lao People’s Democratic Republic (Lao PDR) lies at the heart of the Greater Mekong Subregion (GMS) and its economic corridors . However, the country has yet to maximize benefits from the subregion’s investments in infrastructure and services. A working paper from the Asian Development Bank (ADB) looks at how the Lao PDR can fully benefit from GMS projects, particularly from its economic corridors. Authors Shunsuke Bando and Barend Frielink say there is a need to increase synergies between the GMS Program and the Lao PDR’s national socioeconomic development plan. Bando is a senior country specialist at ADB’s Lao PDR Resident Mission. Frielink is an independent consultant. The report was produced under an ADB-supported project. The authors note that the GMS Program offers many opportunities for inclusive economic development in the Lao PDR. These opportunities include niche and specialty agriculture products, tourism, light manufacturing, transport, and logistics services. The working paper notes the importance of the economic corridors to the Lao PDR. The country is landlocked and shares borders with the other five GMS members: Cambodia, the People’s Republic of China (specifically Yunnan Province and Guangxi Zhuang Autonomous Region), Myanmar, Thailand, and Viet Nam. The economic corridors are an integrated system of roads, rails, and ports together with trade and transport facilitation, which connects these countries. The corridors can give the Lao PDR more access to centers of production, including manufacturing hubs, industrial clusters, and economic zones, as well as centers of demand, such as capitals, major cities, and corridor towns. Develop a long-term vision and strategy on the role of the economic corridors in the country’s development. Strengthen governance by making better use of the Economic Corridor Forum, creating a taskforce for each economic corridor, and introducing Lao-centric names for corridors. Incorporate inland or dry ports and logistics centers in cross-border transport agreements. Strengthen monitoring and evaluation systems for the economic corridors.